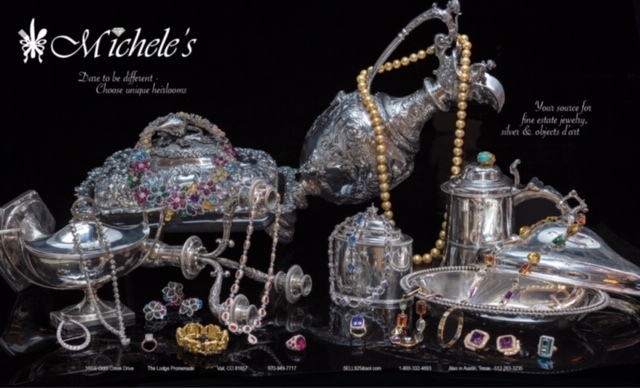 At Michele's Estate Jewelry and Silver we buy and sell certified and non-certified diamonds of all shapes and sizes. Come see why we are Austin's Premier Diamond Buyer and Seller as we have in stock many GIA certified and non-certified Diamonds and also estate jewelry. Michele's offers consistently higher prices for those who want to sell a diamond to a trusted Diamond Buyer. Our customer's satisfaction is our #1 priority since 1975 in the Austin area! Once you have decided to sell you Diamond Jewelry, the next step is building a relationship with a reputable buyer. This relationship will help you determine the true market value of your diamonds. While certification can be helpful during the evaluation process, we are just as comfortable buying non-certified diamonds as our experienced staff is capable of accurately grading the quality and determining the value of any diamond. Since we buy, sell, and trade we offer pricing that is competitive regardless if you are buying or selling. Our evaluations are Fast, Accurate, and Free. We invite you to come by or contact us to receive the maximum price for your diamonds with a no obligation free evaluation. Michele's is committed to making the process of selling your diamond or Estate Jewelry as easy and stress-free as possible for you. Call or email us and set up an appointment or just come in M-F 9:30-5:30 and let us establish the value of your jewelry for free. Locally owned family business since 1975. Any certificates, appraisals, receipts, or diamond grading reports.